Having come a long way from his days as “The Man with No Name” and “Dirty Harry”, veteran actor-turned director Clint Eastwood has proved that at nearly 80 he still has that magic touch. You don’t have to be a rugby fan to enjoy this film, a highly uplifting morality tale on the strength of the human spirit and the concept of snatching victory from the jaws of defeat – in a sporting and psycholoogical sense. One of the film’s opening scenes features archive footage of Nelson Mandela being released from his long incarceration with a voiceover making the statement “Mandela is now a free man” – surely an intentional pun on the name of the lead actor. Morgan Freeman is uncannily accurate in his portrayal of Mandela as the highly charismatic and charming individual that he was – and continues to be. Although it should be noted that such parts – ie the world weary wise old sage who has a knack of influencing those around him as in films like The Shawshank Redemption and Driving Miss Daisy – are his stock in trade. Mandela’s philosophy of in order to make progress you need to know your enemy is one of the central tenets of the film. 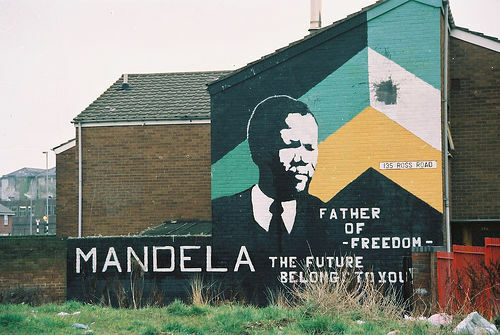 Freeman is excellent in putting across Mandela’s extraordinary lack of bitterness towards his former oppressors following 27 years of incarceration. Despite the heavy overall message of Invictus its not wihtout its comic moments. A notable example is when the white presidential security guards who had previously worked for FW de Klerk under the apartheid regime report for duty to their boss who is now black – and suspects he is the victim of some kind of joke. But in reality it is all part of Mandela’s grand plan to heal the divisions and unite a once bitterlydivided nation which had not so long ago been on the brink of civil war. 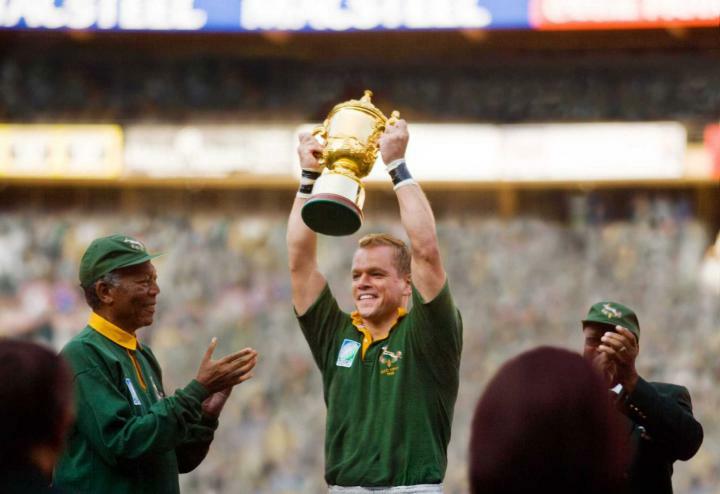 Although Matt Damon doesn’t look like your average rugby player his portrayal of Springbok captain François Pienaar is convincing as is his Afrikaner accent. The scenes on he field of play are also well choreographed as are the reactions from the crowd. The sickly sweet feelgood factor is perhpas a little overdone by the end of the film,with the final scenes of the jubilant team and their supporters now both white and black, but this doesn’t detract from what is a fantastic piece of cinema.